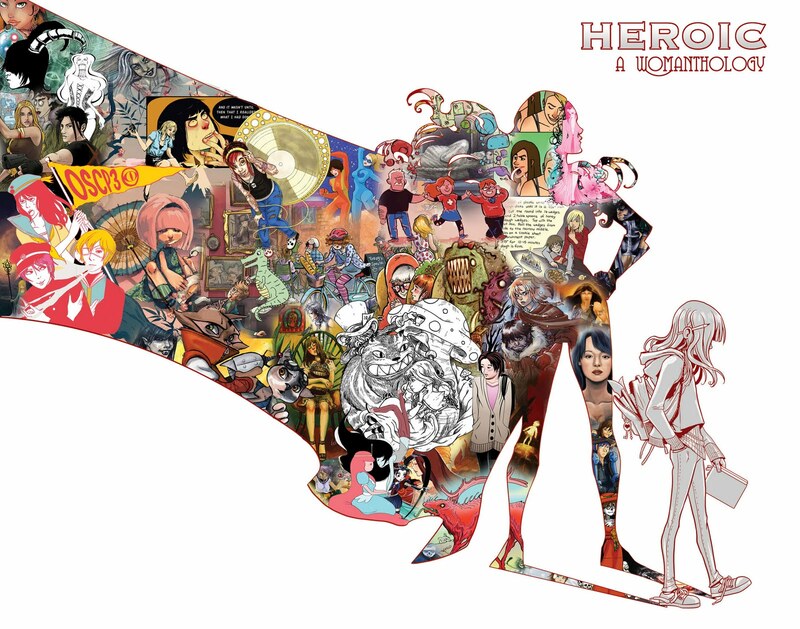 The Art of Renae De Liz: Incredible COVER to WOMANTHOLOGY!! Hidden art collage! Click to see details! Incredible COVER to WOMANTHOLOGY!! Hidden art collage! Click to see details! You've got to CLICK THE IMAGE to see it bigger so you can see all the art hidden through the image. There's a LOT! Girl figure and female superhero shadow drawn by Renae De Liz. Inked by Sarah Elkins. Art collage features the art of over 40 female creators! We'll have to get a list going of this so you can follow their work! Renae's Twitter | Facebook | DeviantArt | YouTube | Womanthology! What an amazing amount of diversity. Hi Renae I gust signed up on kickstarter to back Womanthology, your artwork is awesom can not wait until the book comes out.